Published: Jan. 9, 2013 at 09:10 a.m. The Dallas Cowboys' firing of defensive coordinator Rob Ryan on Tuesday was a curious move, and not only because he found out while he was in Turks and Caicos. Let us count the ways. 1. The decision clearly was made by Cowboys owner Jerry Jones, not head coach Jason Garrett. Jones said he would consult "outside counsel" on his team before making decisions. 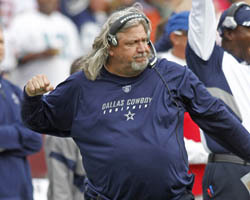 The Fort Worth Star-Telegram reports those reviews of Rob Ryan weren't positive. They believed Ryan's schemes were "unsound" and that he wasn't aggressive enough this season. If the GM of the team needs to go to outside counsel to decide on his own staff, you need a new GM. If the head coach can't make up his own staff, you might have the wrong head coach. 2. Ryan's firing points out the uncomfortable reality that he has coached circles around Jason Garrett the last two seasons. The Cowboys' defense hasn't been great, but it quickly improved from the 32nd-ranked unit Ryan took over in 2011. Garrett's offense has been sloppier with more talent at its disposal overall. The offense is unimaginative and doesn't create advantages for its players. It repeatedly makes mental mistakes. The Cowboys' defense played well early this season before a ton of injuries hit. 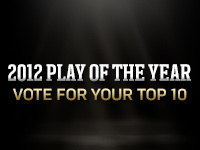 "When you play that way for the first 10 games, you're supposed to be 9-1 and or 10-0," Ryan told ESPNDallas.com. "We were 5-5." Garrett's game-management decisions probably cost the Cowboys two games alone. 3. Cowboys players aren't happy about the change. Linebacker Bruce Carter's reaction: "WTF!" Cornerback Sterling Moore: Not Happy Right Now! Defensive tackle Jason Hatcher: "It was a privilege to play under Coach Rob Ryan! One of the greatest. Sad day. I'm hurting right now." Cornerback Brandon Carr was calmer, saying the team had to roll with the punches. He said the coaches and players shared responsibility for the team's downfall. Jones wanted to shake things up, and he only had a few potential moves to make. This Ryan dismissal shouldn't be a huge shock. It just speaks to the general aimlessness of the organization. Each season ends with disappointment, some emotional tweak is made, and the natives are satiated. The one constant through all the struggles, meanwhile, stays the same.